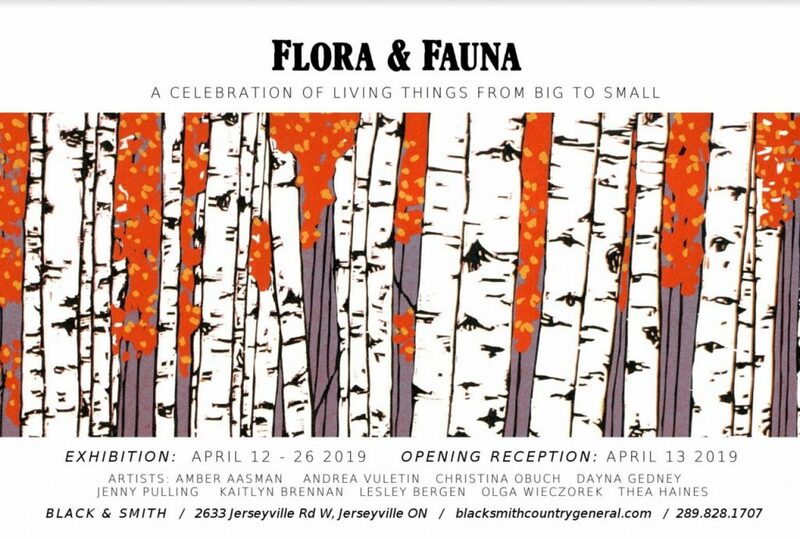 Flora & Fauna is a multi media exhibition celebrating the start of spring and living things from big to small! 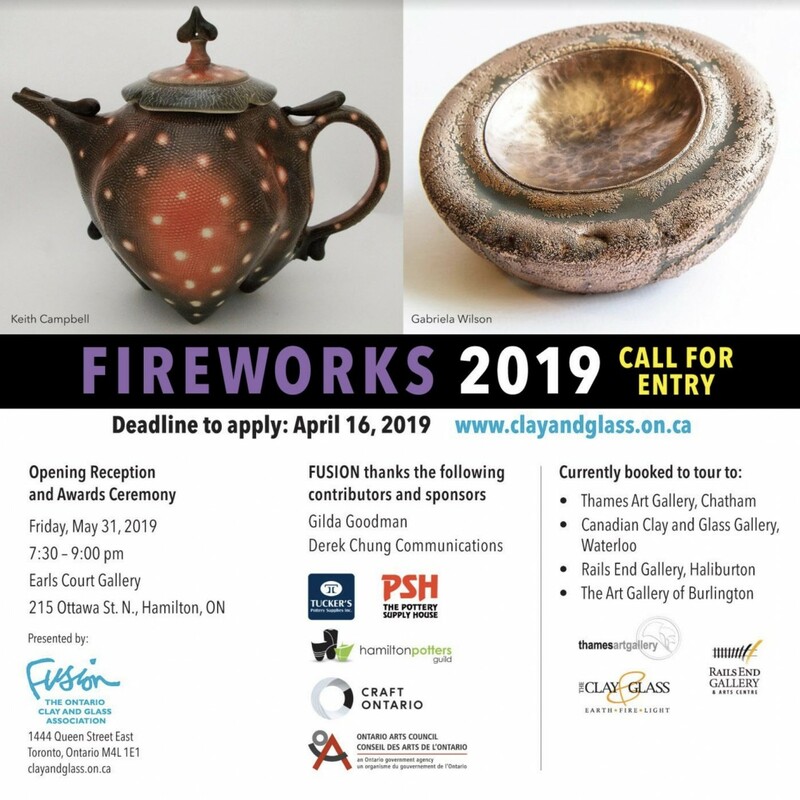 Each Canadian artist has been invited to submit works highlighting creatures and natural elements in a range of materials: metal, clay, paper, mixed media, textiles, wood and found objects. Join us for the opening and artist reception on Saturday, April 13 from 7-9pm. 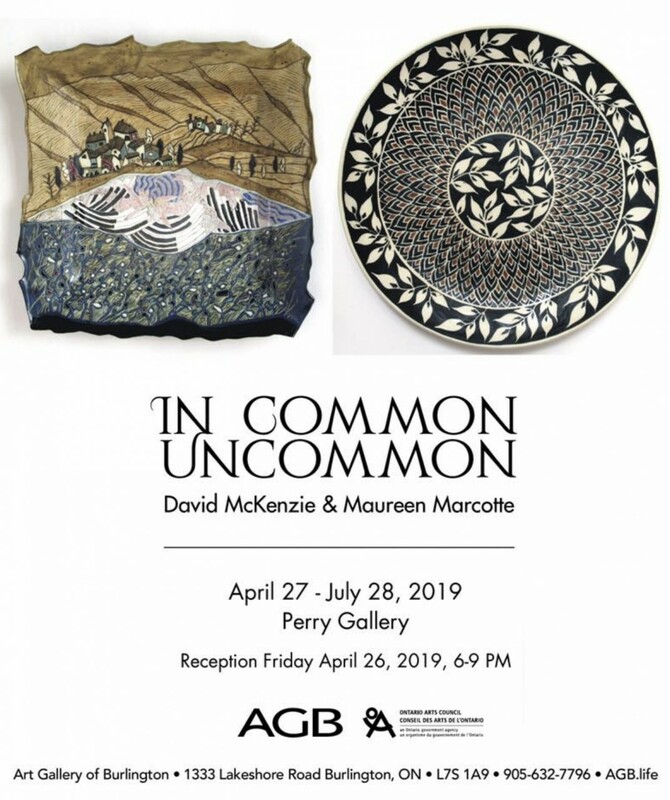 This spring, David McKenzie and Maureen Marcotte are celebrating their 40th year as studio potters in the Gatineau Hills north of Ottawa. For four decades, they have been partners in life and work and share a home, studios, kilns and materials and family life. 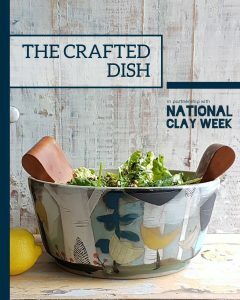 They have much in common, especially an approach to clay that centres on creating intensely decorated surfaces on a variety of forms. While this focus is similar, the resulting bodies of work that they each create are entirely unique. Maureen’s work is characterized by pattern either based on nature or geometric shapes. 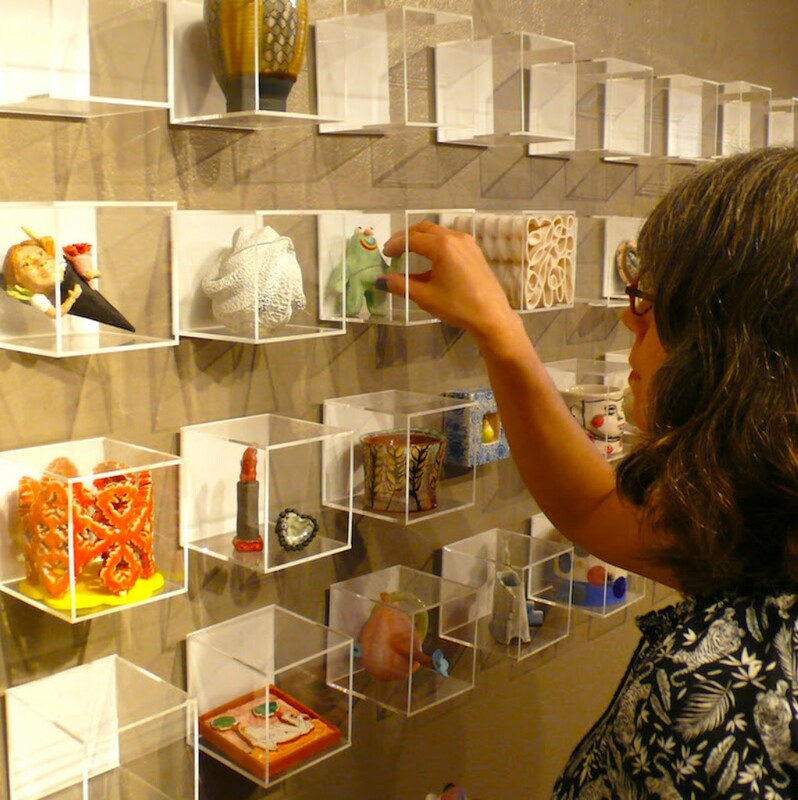 The designs are often formal and organized, respecting the constraints of the forms she makes. There is a quietness to the overall patterns based on a repetition of the design elements. Even when there is a seemingly random pattern of leaves and foliage, there is always a subtle geometric structure underneath that anchors the pattern. 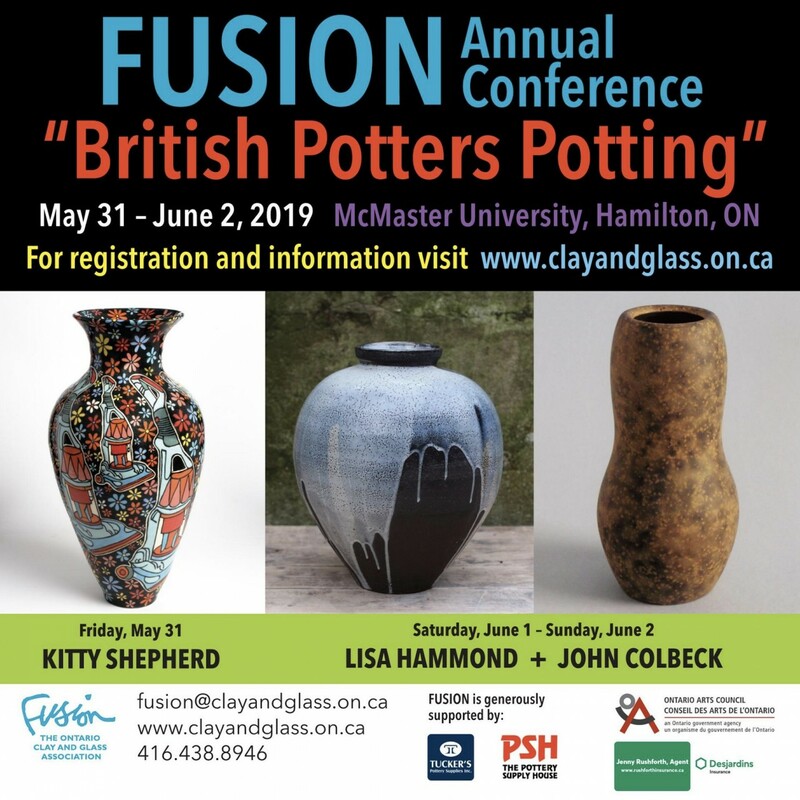 David is a story teller and his work has a narrative quality based on a vocabulary of images and themes that populate his more casually made coil pots, slabwork and slip cast pieces. Passionate about formulating glazes and constant experimentation, David uses a rich palette of colours and textures. A whimsical sense of design and a lyrical drawing line infuse each unique piece with warmth and intimacy. 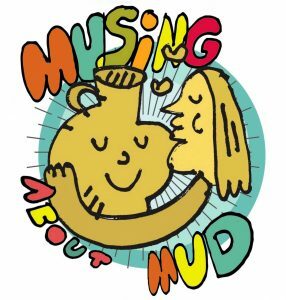 Although they share a work environment and most other aspects of their lives, David and Maureen manage to create work that is individual with surprisingly little cross influence. Even though they share glazes, clay bodies and sometimes even decorate the same slipcast forms, there is no mistaking one artist for the other. Perhaps it is the differences between the two styles of work that is remarkable. 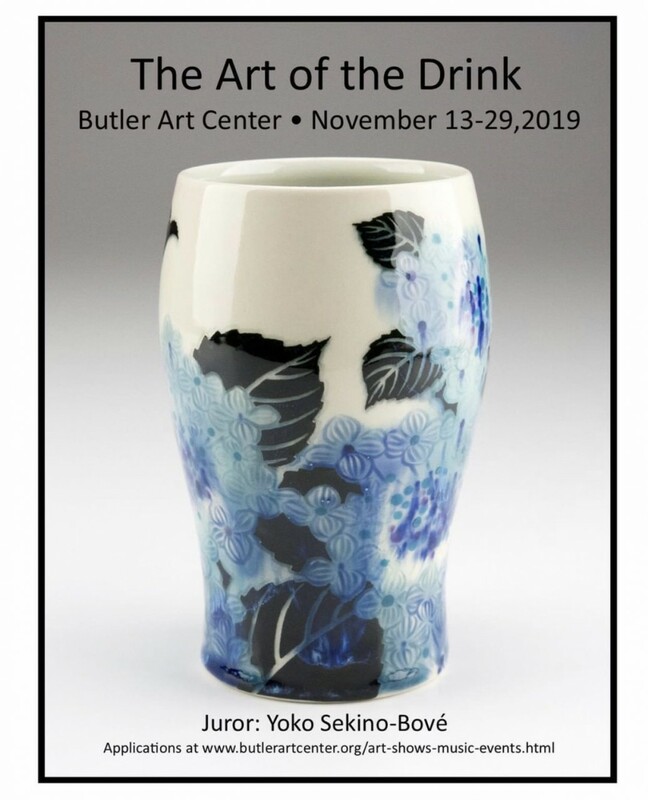 Open to all functional vessels used for the consuming, storing and pouring of beverages, the exhibit runs from November 13- 29, 2019.